It’s a compelling opening and one that immediately captured my interest. The book starts at this point and returns to these scenes towards the end. In between these bookends a number of other strands run through the narrative all of which come together to form the crux of Karl Ove’s story. 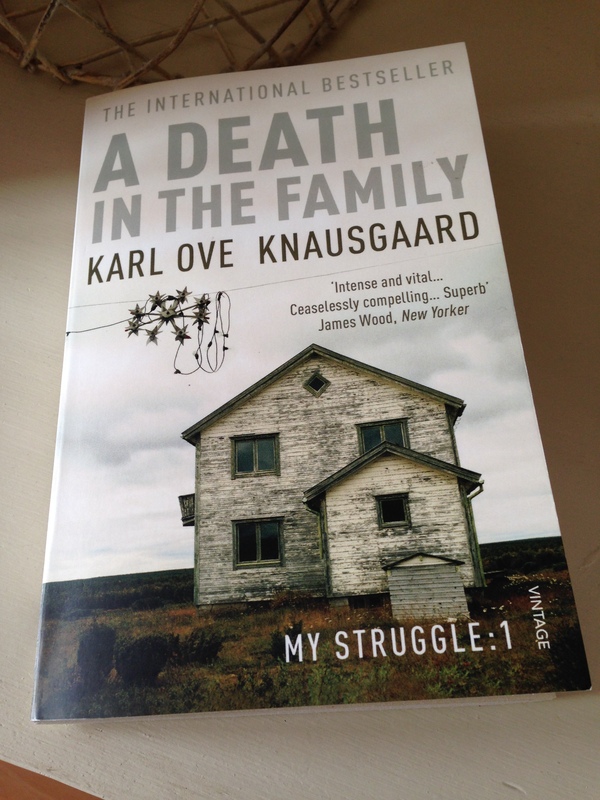 This is my first experience of Knausgaard and I found it utterly compelling and addictive. I’ve been reading this year’s IFFP longlist (along with a group of bloggers led by Stu) and as I didn’t have time to start with A Death in the Family – My Struggle: Book 1, I pitched straight in with A Man in Love (book 2 in the series). I’m finding it a little hard to pinpoint exactly why I found this book so gripping, but I think a large part of it has to do with the sense that these are real people Knausgaard is showing us here. Real people with real names and real lives, that’s how it appears to me. And he’s laying himself bare, exposing his emotions with extreme candour. He holds nothing back, flaws and all. Even though he internalises many of his own emotions and avoids conflict in social situations, we, the readers, gain access to his innermost thoughts right down to their essence. Maybe there’s also an element of my recognising many of the demands and challenges he describes in raising three small children, all very close to one another in age. I’ve seen the exhaustion and mix of emotions this can trigger in friends and family in similar circumstances. Part of the appeal (for me) also stems from the way the narrative unfolds. It doesn’t follow a conventional narrative arc and as a reader there’s the allure of not knowing quite where Karl Ove is going to take us next. Alongside the story of Karl Ove and Linda’s family life, children’s parties and wandering around Stockholm with a buggy, he spins off into topics including existential discussions on the meaning of Holderlin’s poems, cultural differences between Sweden and Norway and many more. We meet various friends and family members, all vividly painted in such a way that conveys their distinct personalities and demeanours. There are flashes of painful humour, too; the acute embarrassment and humiliation Karl Ove feels when dancing with Vanya at baby Rhythm Time class; his irritation at Swedish middle-class parents for plying children with wholesome vegetable crudités at a toddler’s party; his encounters with the neighbour from hell. It’s all here. A Man in Love deserves its place on the IFFP shortlist, and I’m sure I’ll track back and read A Death in Family, along with forthcoming instalments as they appear…I suspect I’m in for the long haul now. Other members of the IFFP shadow group have also reviewed A Man in Love: Stu, Tony Malone, Tony Messenger and David Hebblethwaite – just click on the links to read their thoughts. This review was first published as a guest post on Tony Malone’s blog (18th March 2014) and Tony has kindly granted his permission for me to republish my review here. A Man in Love is published in the UK by Vintage Books. Page numbers refer to the paperback edition. Source: library copy. 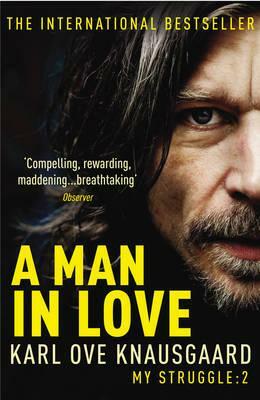 This entry was posted in Book Reviews, Knausgaard Karl Ove and tagged #TranslationThurs, Book Review, Fiction, IFFP, Karl Ove Knausgaard, Literature in Translation, Norway, Vintage Books on May 19, 2014 by JacquiWine.